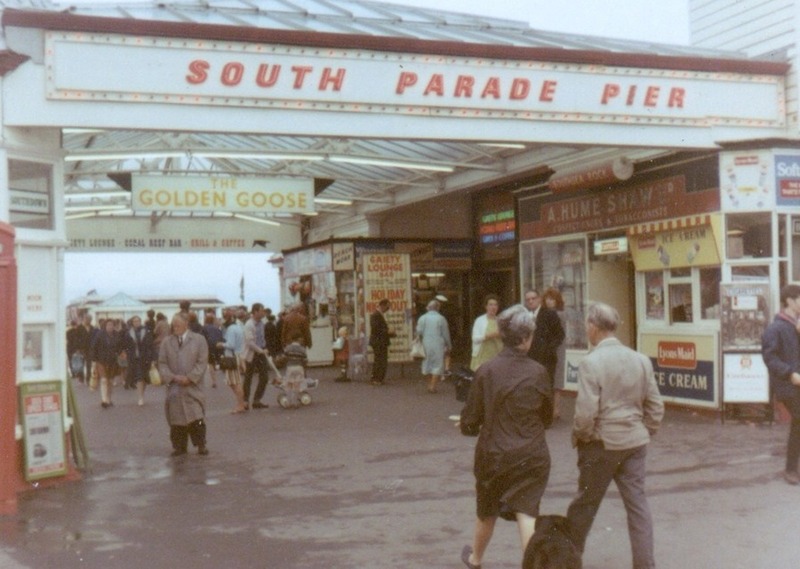 South Parade Pier was built in 1875 and has continued to be a hub of activities in Southsea till this day. 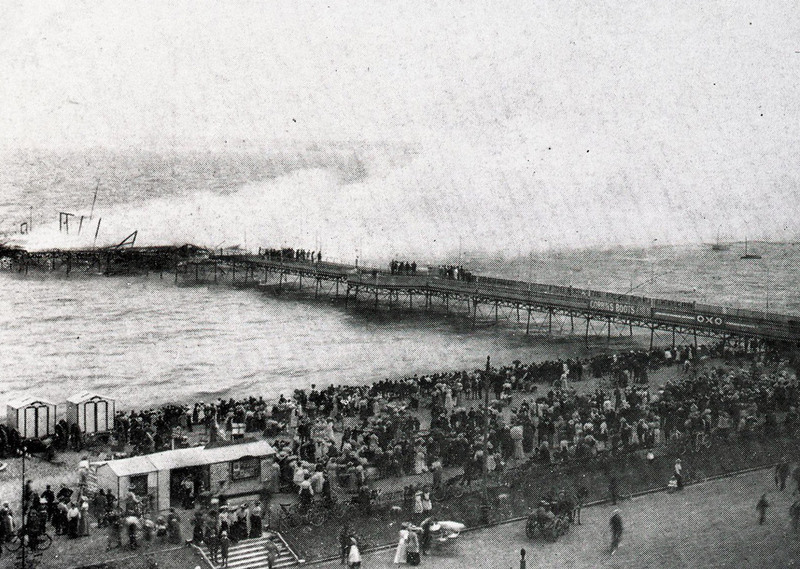 The pier has a diverse history – burning down three times, in 1904, 1966 and finally in 1974, during the filming of the movie ‘Tommy.’ The Pier, despite its bad luck, survived both World Wars and was crucial to Portsmouth’s D-Day history. It played a vital role in the preparation of troops and their eventual departure to France, which was watched by General Eisenhower. Many famous people have trod the boards in its 143-year history; Frankie Howard, Peter Sellers, David Bowie (a gig which didn’t even sell out!) and Genesis to name a few. This much-loved Victorian structure has been restored once more and is starting to make history again, with the Gaiety Bar leading the way. The Gaiety Bar hosts a wide number of events throughout the year from comedy gigs to tribute nights. 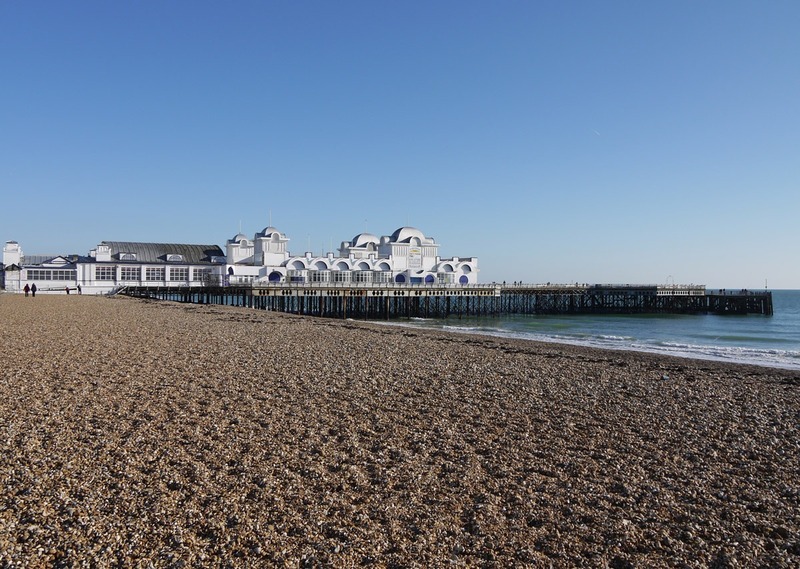 South Parade Pier is also a fantastic spot to fish and is suitable for the experienced angler to the beginner. Summertime catches would include; mackerel, garfish, pollock, bass, mullet or bass. During winter you can expect; codling, whiting and flounders. If you don’t fancy catching your own there is a fantastic fish and chip restaurant, Deep Blue, at the end of the Pier. If you looking for something a bit more casual you can grab a cuppa at ‘Tea on the Sea,’ and simply stroll around pier taking in the beautiful view and soaking up the sun.